So, Neil Clarke recently published the table of contents of the Best Science Fiction of the Year, Volume 3, collecting his picks for the best stories of 2017. 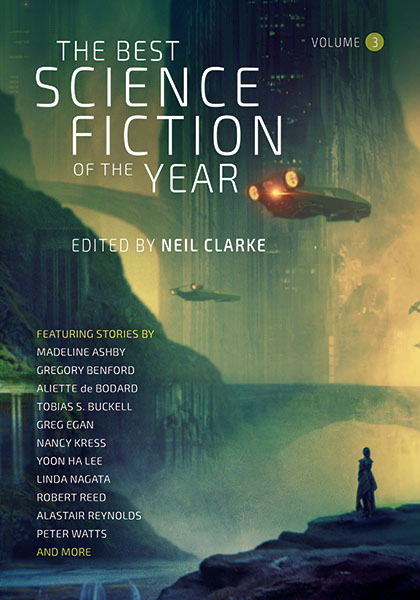 To my immense happiness, my short story “Focus,” which was originally published in Analog, will be included in the volume… and in very good company. It’s not just an honor to have my work appear in a Year’s Best collection by such a discerning editor, but to have it appear alongside work by some of the best authors around today—and some authors whose work I was reading back when I started writing seriously—is just amazing. And for more info on the book, as well as to see all the other great stories included in it, see here.